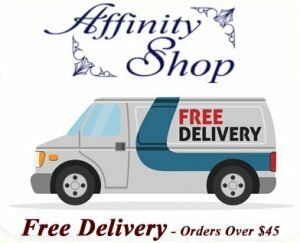 At Affinity Shop we have a very strict code of conduct around business values and ethics. We know what it is like to deal with large companies which are very loose on transparency, the truth, customer service and a blatant lack of attention to detail. This is where we come in and how we thrive! Particular attention is placed on our customers, our products and the services we provide. Our business belief is around organic expansion and enhanced customer experience. We always feed off our customers that provide us genuine feedback. We are always looking to improve. 1) Always listen to the customer and respond directly and accurately. We get the little things right. If you ask a question, we will answer you directly! We believe in striking while the iron is hot. So if we tell you we will get back to you, we will do it and we will do it as quickly as possible. 2) Business is about service and experience. Our customer experience is continually advanced and improved. We try to ensure that every single customer leaves our experience feeling valued and treated with respect. Money will flow out of customer service and experience. Wealth creation and money is not our prime value and pursuit. 3) Efficiency, environmental awareness and simplicity drive our service experience. We offer a low cost, high quality service. Value is gained through our quality products, attention to detail and our cost efficiencies. We are not trying to extract money out of our customers. Support our customer to make good value buying decisions is our aim. Helping you to make informed business decisions, should keep you coming back to us. 4) We focus on product excellence and point of difference! We focus on having products which offer you great value, increased comfort and premium quality. Often spending a low cost per unit is not great value. Our close working relationship with our suppliers means we get great pricing and up-to-date product knowledge. We keep a close eye on customer product usage experiences. This enables us to feed ‘real world’ information back to our suppliers. As a result this improves product quality and enhances our product recommendation services. 5) Things go wrong in business. How we react is what sets us apart! We tell you honestly when something has not worked out as planned. Our follow up service will be quick and accurate to keep you informed. We want to help you make informed, good business decisions. We always try to make up for our mistakes if they happen. Our ultimate refinement is working to minimise and prevent mistakes ever happening again. Furthermore we learn from the past, which shows in our future. These small points may seem trivial, but they help us meet the demands and needs of our customers. Following these principles and values helps us to remain relevant, competitive and customer focused. We are always here to help! Core Values – Little things make a big difference. We pay attention to the little things. Recycling packaging, energy efficiency and usage, premium product selection and accurate product recommendations. This is how we work to meet the demands of everyday business and keeps us relevant. We think the little things matter. We keep our costs down, and our efficiencies great. Keeping our business footprint small helps us to stay focused on prime core value of customer service and experience. Core Values – The Environment. Energy usage and energy efficiency is important to business. Keeping a small environmental footprint helps us to keep over-heads low and enables a cleaner environment for our children. Our savings are passed on to our customers or reinvested into further business efficiencies. We only live once so lets try and work together so we can all thrive together. We can have it all; cleaner air, a nice environment and the little luxuries in life that we all treasure. Just to put this all into perspective, our business uses less energy and puts out less waste than your overage two person home. How do we do it? Value adding, recycling, waste reduction measures and using low energy technologies. We are not trying to show off or talk loud … We try to lead by example and want to be an example of what is possible. Do you have feedback or questions about our Business, Core Values, beliefs or ‘Modus Operendi’? Affinity Shop is always looking to setup new supply chains and business working relationships. If your business is interested in working with us, please get in touch. We would love to discuss your needs.